Few people realize that plant nectar provides the nutrients adult mosquitoes need to survive. Female mosquitoes utilize the protein found in their victim’s blood to support the production of eggs. 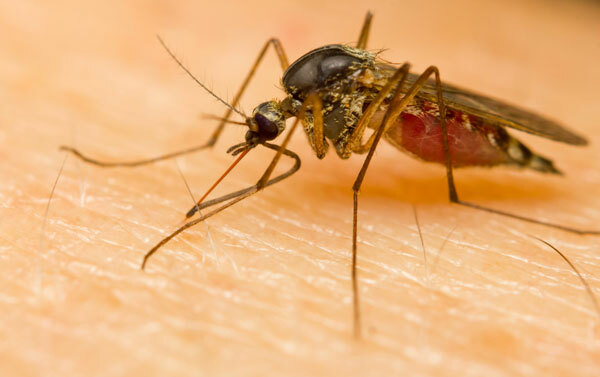 Male mosquitoes have no need for the protein and don’t bite. Mosquito eggs are laid in standing water in order to develop, and hatch in just 1 to 3 days. Any item that is capable of retaining water for several days is a potential site for mosquitoes to develop and hatch. This can include rain barrels, potting saucers, and old tires as well as others. Our professionals can assist you in locating potential breeding sites when you contact us for >pest control in Fort Worth. The experts often state that mosquitoes pose a greater threat to human health than any other animal worldwide. Although not all mosquito transmitted diseases occur in the US, the numbers are rising and outbreaks are expanding. West Nile Virus affected 30,000 people in the US in 2001 according to the CDC, 1,200 resulted in death. Zika Virus is a disease that can cause birth defects in pregnant women. Dengue fever causes flu like symptoms and in rare cases leads to death. It is primarily a disease of tropical locations, but has been reported in TX and FL. Yellow fever was once common in the US. Today, vaccination is available if an outbreak were to occur. Malaria is still considered a major concern in the U.S.although it is rare. Chikungunya virus is primarily found in Africa and Asia. However, in 2013 it occurred in the Western Hemisphere on islands in the Caribbean. Since then it has spread to 45 countries with approximately 2 million cases reported. Cases have been diagnosed in the U.S. but were contracted elsewhere. At this time, it hasn’t been identified as naturally occurring in the U.S., although Puerto Rico and the U.S. Virgin Islands have reported outbreaks. Encephalitis occurs in more than one type, with Eastern Equine Encephalitis being the most deadly form in the U.S. While man is a dead end host for the disease, 30% of those infected will die. Of those who survive, 50% are rendered with varying degrees of mental disability and/or paralysis. Identifying areas where mosquitoes lay eggs is an essential first step in controlling them. Without treating or eliminating the source, mosquitoes will continue to be a threat and nuisance. Contact The Bug Dude for >pest control in Fort Worth. Mosquito treatment involves the two methods of larvacide mosquito dunks, and a standard barrier treatment. The Bug Dude can provide the >pest control in Fort Worth that you require. Larvacide mosquito dunks are an insecticide which is specifically targeted for the larval life stage of an insect. A tablet is introduced into the stagnant water where mosquito larvae are found. These mosquito dunks treat the ponds and/or other standing water sources, preventing mosquito larvae from growing into adults. Thick vegetation provides an ideal sites for adult mosquito. Mosquitoes roost on the underside of leaves, requiring mosquito fogging to be effective in treatment. In addition, the product will be transferred by adults to water sites when eggs are laid. This will kill off adult mosquitoes and help control the local population’s reproduction cycle. Contact The Bug Dude for professional pest control in Fort Worth. Through diligent efforts from property owners and professional >pest control in Fort Worth, mosquitoes can be controlled with success. If you require professional pest control in Fort Worth for a >mosquito problem or other pests, contact The Bug Dude today to schedule professional services. We serve Fort Worth and the surrounding areas.